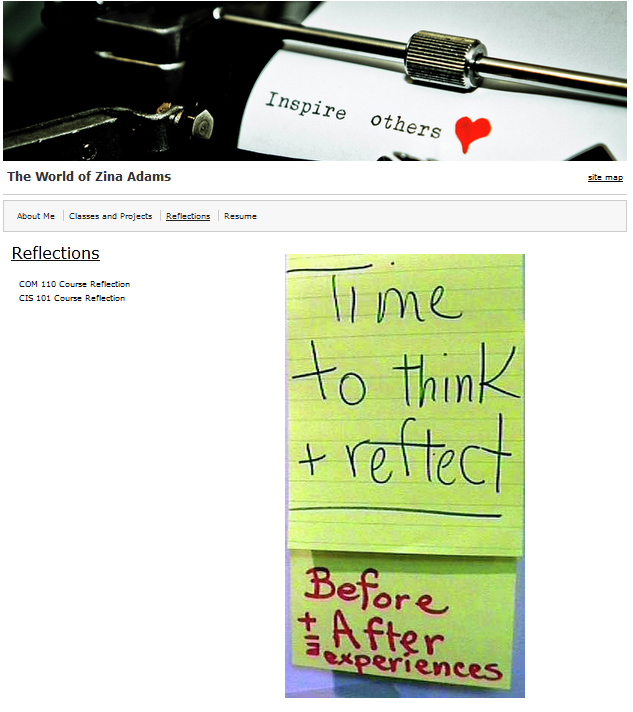 Highlights: Zina brings her academic and professional careers together in this academic ePortfolio. She has included her Twitter feed, favorite links, favorite quotes, and pictures of her family. This is a good example of how the academic ePortfolio can be used by students to help keep track of favorite assignments while showcasing their digital literacy skills and cultivating their online identities.